The GameDAC is the big addition to the Arctis lineup here, a small USB device about the size of a small candy bar, that sits between the headset and your PC. It’s very similar to the device we saw on the Arctis 5, but more full featured. On the front is a volume control knob and a small monochrome LCD screen that displays various information. On screen and built in is a graphic equalizer with various presets, volume balancing between game and chat audio, and various configuration options to get the most out of your headset including enabling DTS X 2.0. Developers can even tap into the screen to display in-game information, for instance, Discord will display the name of the person currently speaking on the DAC. This is super convenient and I’m a big fan. The other big upgrade is what’s in the actual headsets, the drivers for the speakers themselves. Sporting a frequency response of 10Hz to 40kHz, the Arctis Pro features one of the widest ranges of sound reproduction in the gaming headset market. For comparison the A40 line from Astro bottoms out around 15Hz and tops out around 30kHz. What does this mean? Deeper and more accurate lows and richer mids and highs. What this yields in reality is an overall more balanced sound experience, not something that’s too bassy or too tinny. The design of the headset itself is very similar to the Arctis 5 I had tried before. Extremely comfortable and soft ear cups, a “ski” style headband that suspends the headset on your head, and a retractable mic that tucks into the left ear. 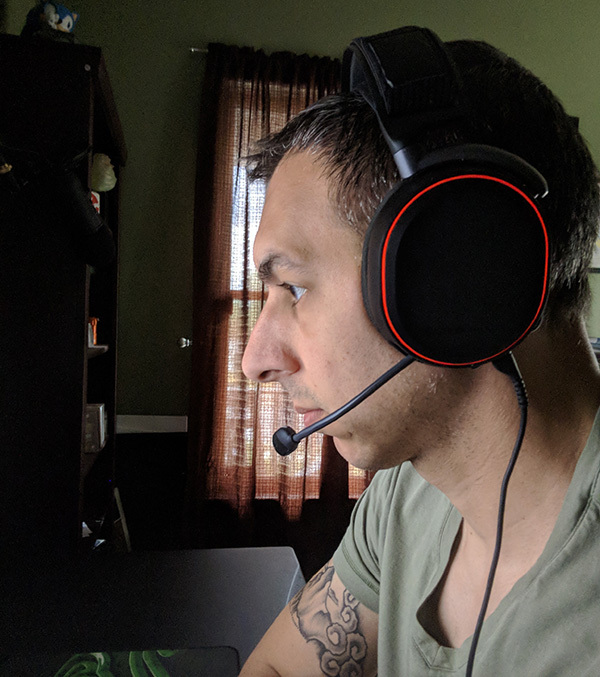 The Arctis Pro is the most comfortable headset I’ve ever used, helping me push through a few marathon gaming sessions of 3 to 4 hours without any ear fatigue. 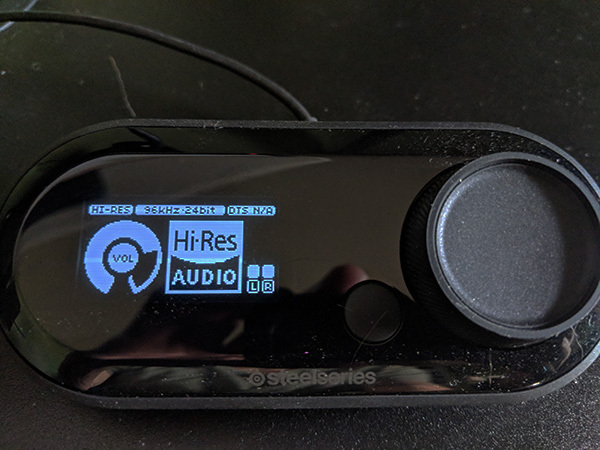 Using the SteelSeries software or the GameDAC you can adjust lighting options on the headset itself, sporting every color of the rainbow and various patterns. This is where you can enable the Discord integration as well. Finally the microphone has a built in LED that illuminates when you mute it - a nice touch - though it’s slightly distracting. Luckily, you can even customize this to any color, pattern, or disable it all together. In terms of sound quality the Arctis Pro with GameDAC handled everything I threw at it. Fortnite’s world was detailed and rich, directional audio easily discerned. Destiny 2’s mix of in game vocals, weapons fire, and co-op communication was clear and distinct. Warhammer 40k: Inquisitor Martyr’s audio wasn’t muddied by the business of the action on screen, and the bassy in game dialog came through cleanly. Discord chat was easy to setup with the device and the quality of the audio and noise cancellation of the microphone is top notch. But there’s more quality than meets the eye (or ear) here with the Arctis Pro. The GameDAC actually supports Hi-Res audio at 96kHz/24bit. And while there aren’t any games that support this resolution of audio yet, there’s a ton of great music out there that does. This was my first experience with music at this resolution and to say it sound rich, crisp, and bright doesn’t do it justice. I downloaded the sampler from hdtracks.com to see what I’ve been missing. It’s quite amazing. Hopefully we’ll start to see some other content, namely games, start to support this format. I only have a few gripes about the Arctis Pro with GameDAC. Namely the cable from the DAC to the headset itself feels to short to me, and because it’s a proprietary connector it’s not easy to get an extension. The menu system on the DAC itself is a little clunky, having a 3rd button I think would have done wonders. Both of these are minor though. 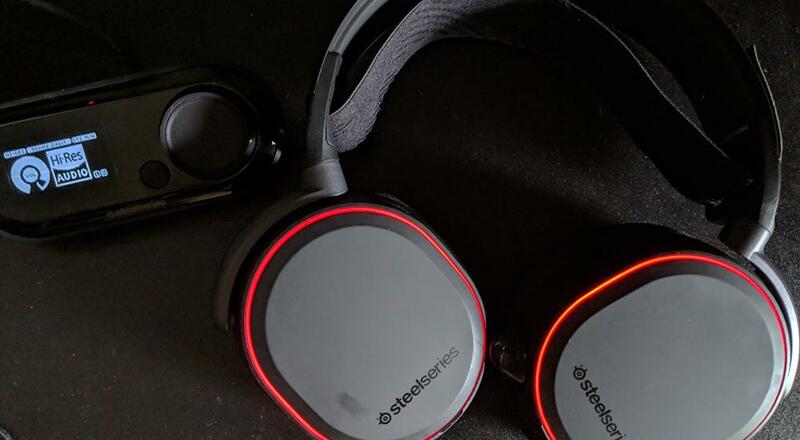 At $249.99 the SteelSeries Arctis Pro with GameDAC are certainly not for the budget minded gamer. And while I primarily tested the device with the PC, it’s entirely compatible with the PS4, helping you get more bang for your buck. The selling points of this is simple - future proof audio, top quality build, and flexibility to customize to any situation. The performance matches the expectations. Congratulations SteelSeries, you’ve replaced my Astro A40s. Page created in 1.0604 seconds.